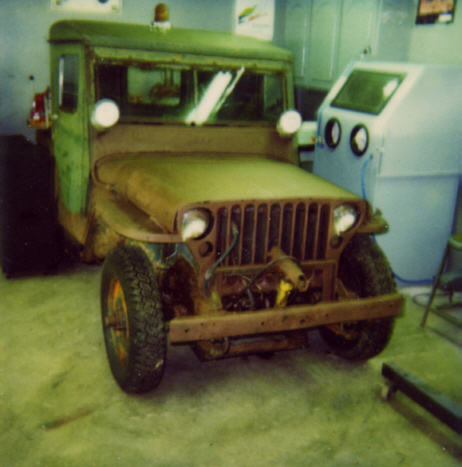 CJ2-32 is a 1944 CJ-2 Agrijeep prototype. 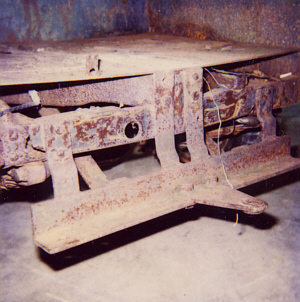 It's history need to be researched, but from where it was found, it is thought to be assigned to Cornell University. 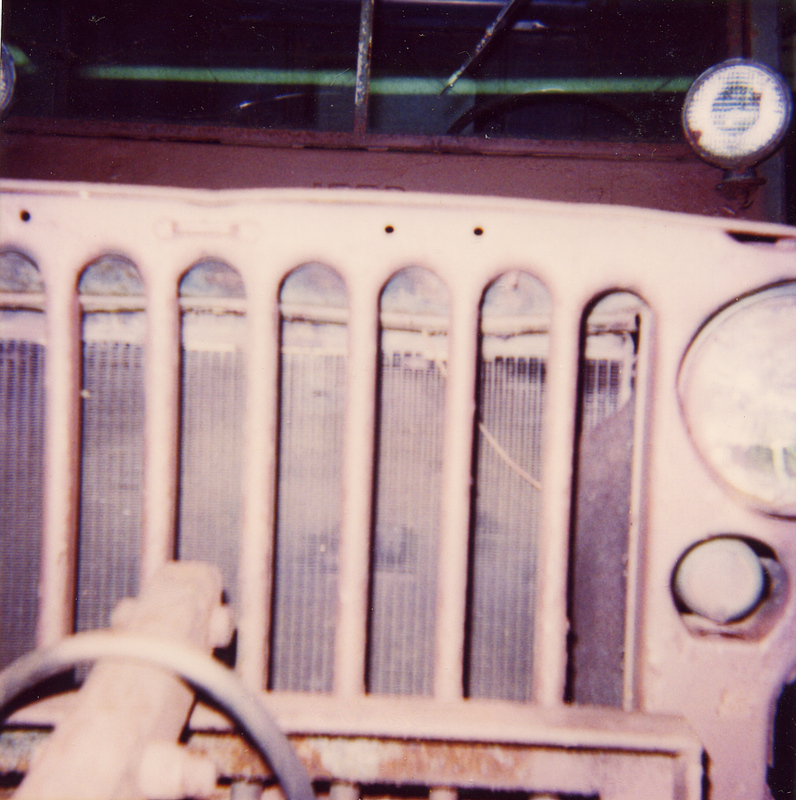 It was being used for regular plowing for decades until its discovery in the early 1990's. 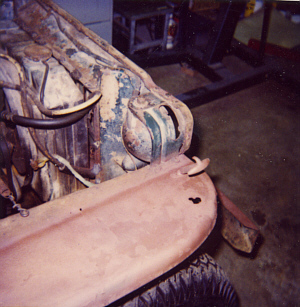 It is awaiting restoration. 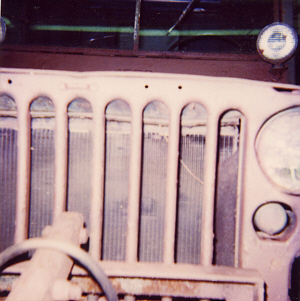 Grille has holes for the earlier hooped brush guard. 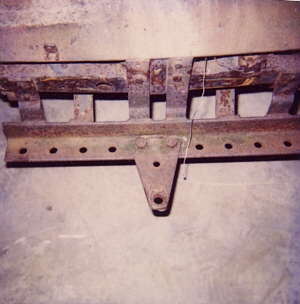 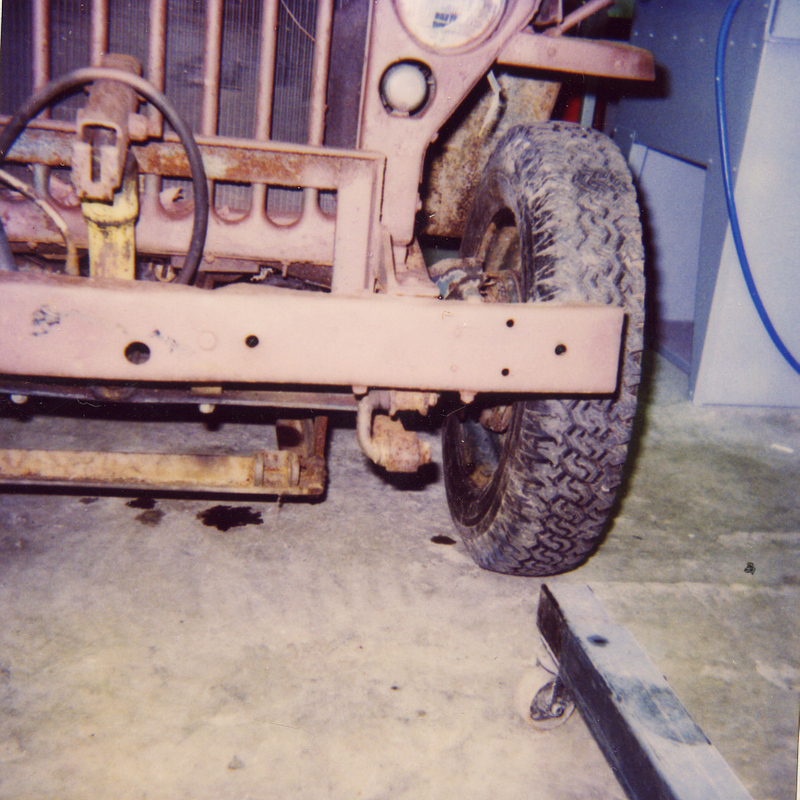 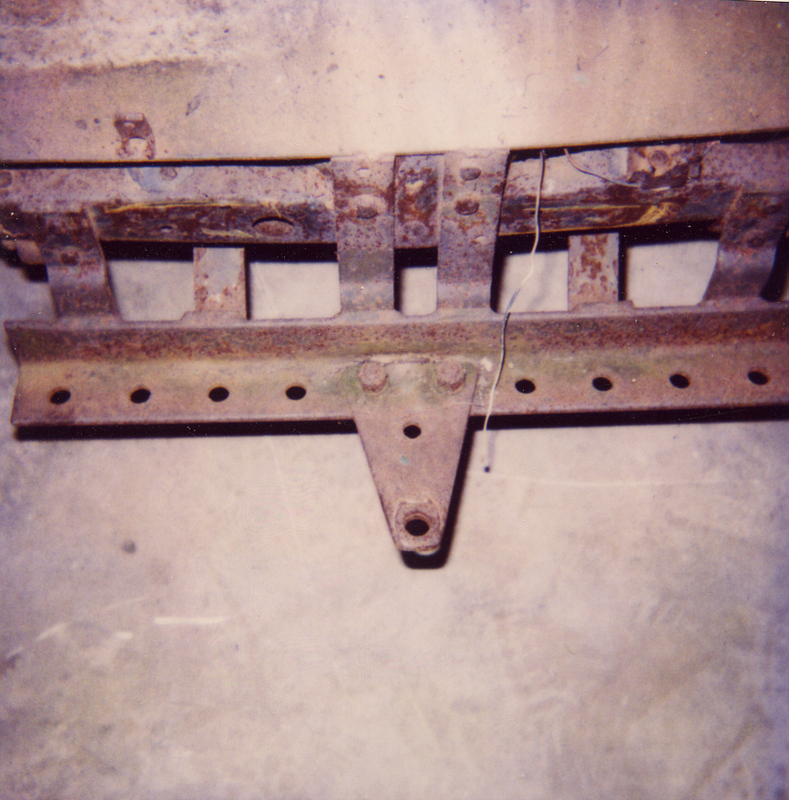 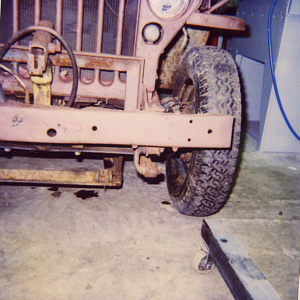 CJ2-32 still retains the holes for the early 8-piece bumper weight. 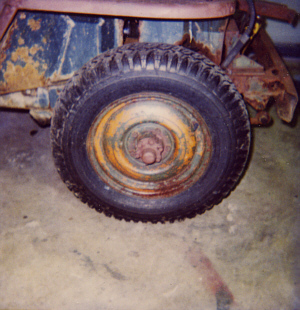 CJ2-32's original rim. 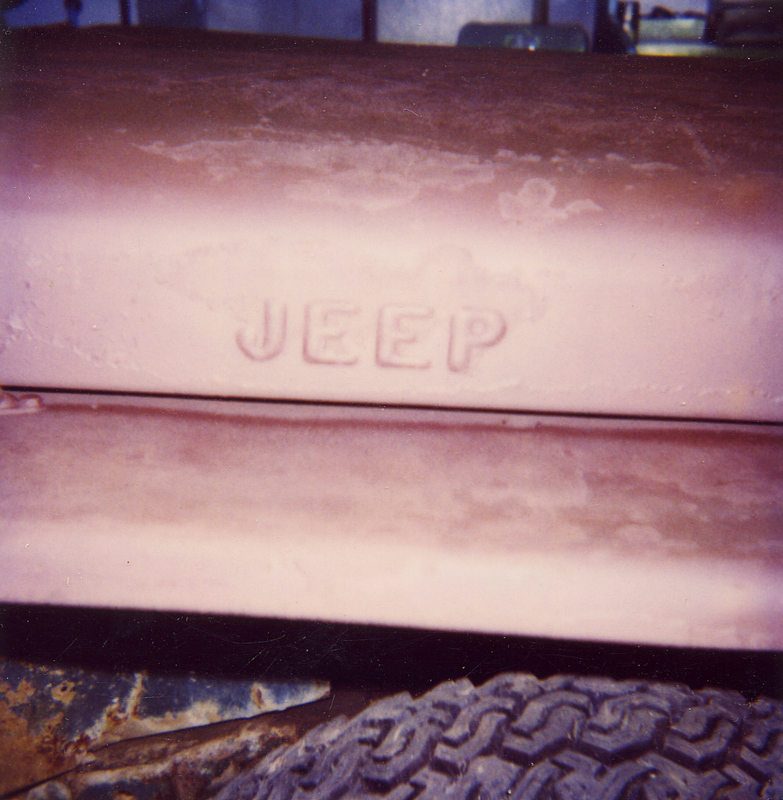 It still has its original paint and stripe. CJ2-32 was Harvest Tan with Sunset Red wheels. 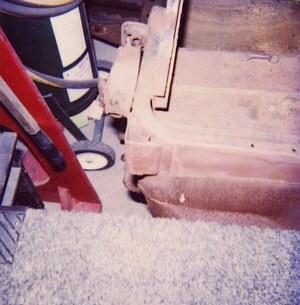 CJ2-32 has most of the rear body missing. 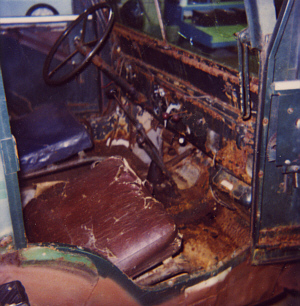 It also has some major frame rust damage. 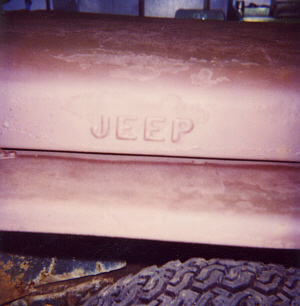 "JEEP" stamp on the side of the hood. 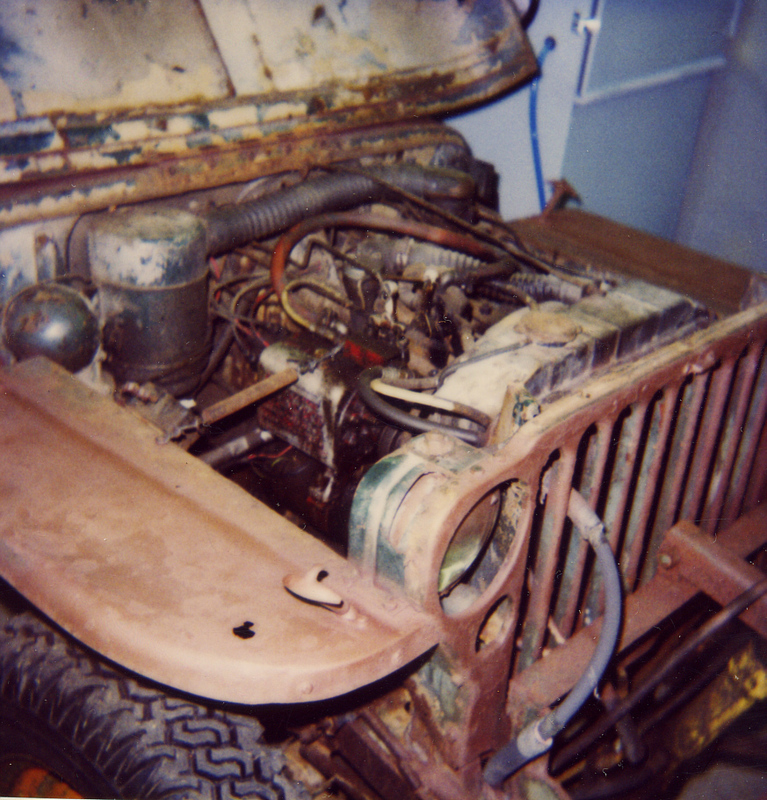 This would be changed with "WILLYS" in the production models. 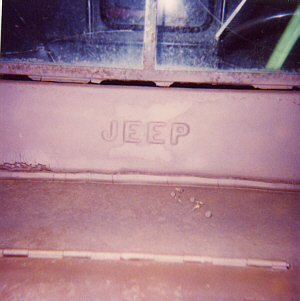 Windshield "JEEP" Stamp.